On Wednesday, July 5, 2017 REALTORS® from across Ontario will gather at the REALTORS® Association of Hamilton-Burlington (RAHB) headquarters to start a 200+km journey to Sarnia to raise funds for shelter-related charities across the province. One such REALTOR® is Jamie Edwards, a real estate veteran of 42 years who has been riding a motorcycle since 1967. He has missed only one REALTORS® Care Foundation Motorcycle Ride for Charity since its inception in 2006, and that’s because he had a heart attack. The Motorcycle Ride for Charity is set to begin at 8 a.m. with a REALTOR® rider kick-off breakfast at the RAHB office located on 505 York Boulevard. Local Ride sponsor Sturgess Cycle will also be on-site with their specialty bikes for motorcycle enthusiasts to check out. In 2016, the REALTORS Care® Foundation returned $38,440 to the Hamilton-Burlington area alone. Recipients included Carpenter Hospice, Halton Women’s Place, March of Dimes, Mark Preece Family House, Mission Services, St. Peters at Chedoke, The Bridge, The Salvation Army and Wesley Urban Ministries. This year’s fundraising goal is $25,000. 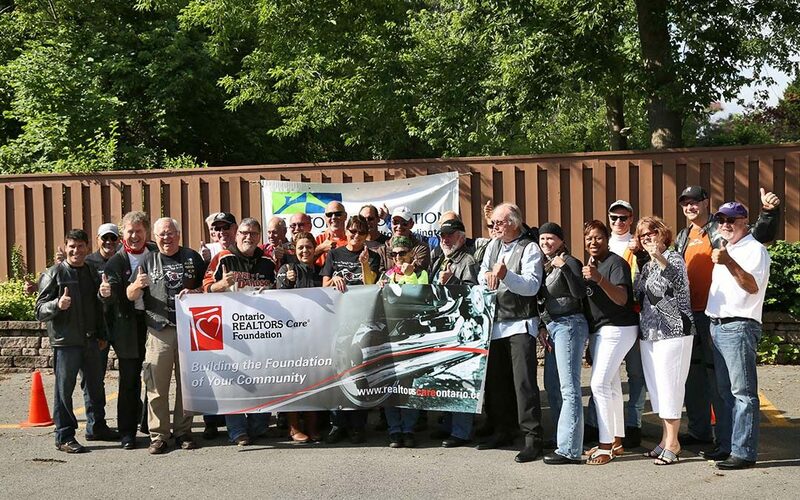 To sponsor a REALTOR® participating in the REALTORS Care® Foundation Motorcycle Ride for Charity, visit https://realtorscareontario.ca/ride.